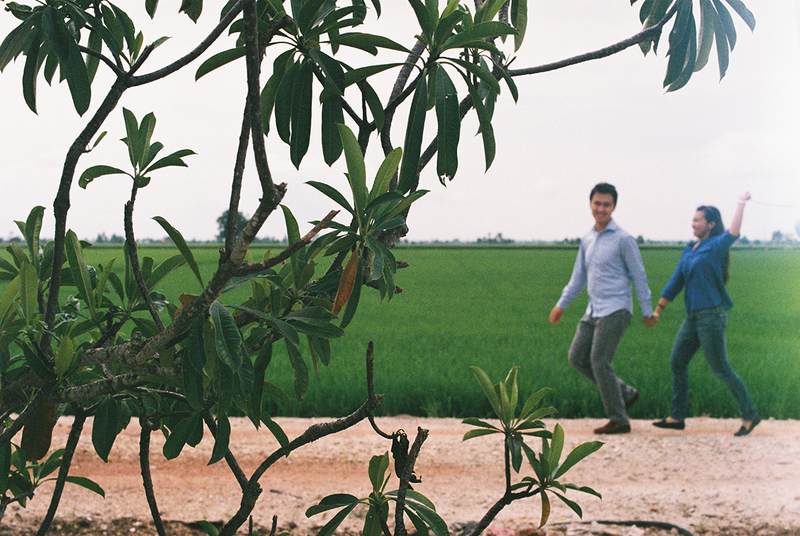 The casual photo shoot took place at the beautiful Sekinchan. It’s always a great place to shoot and short get-away, where you could find lots of sunshine, fresh air, peaceful surrounding and good food. Went there for a analogue photo walk with a bunch of analogue enthusiast before this and been there many years back to shoot on one of my Lomo buddies’s couple portraits too. 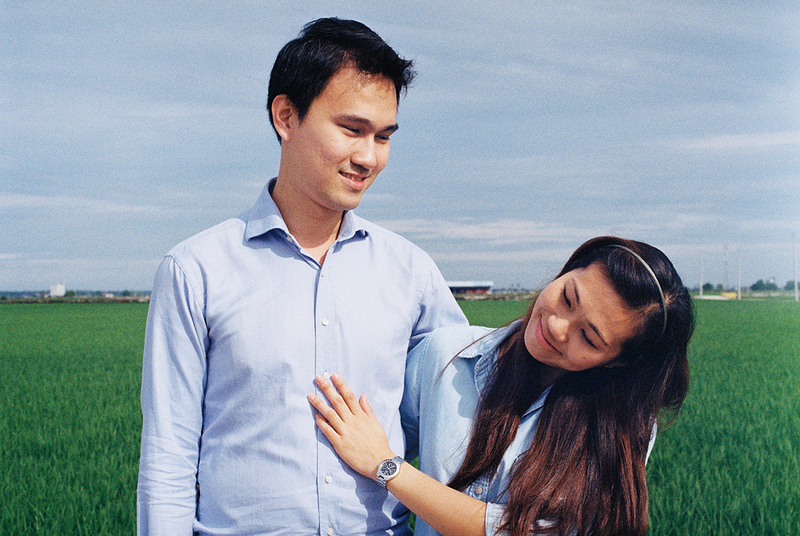 Went there few weeks ago to shoot this sweet couple, Nicholas and Ida on the green green paddy field. 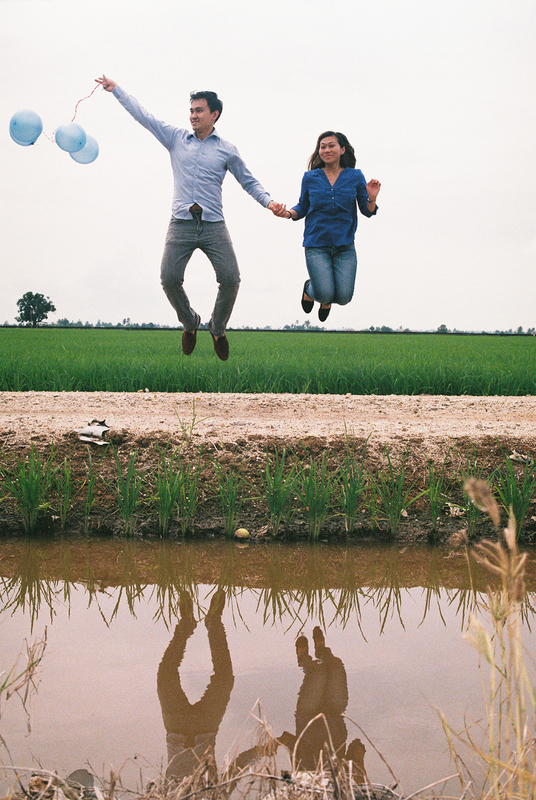 And congratulations to Nicholas and Ida whom going to tied the knot on the next coming weekend! This series is a mixture taken by Canon F1 and my faithful LC-A+, loaded with Fuji ProPlus II (200) and Agfa CT Precisa 100. 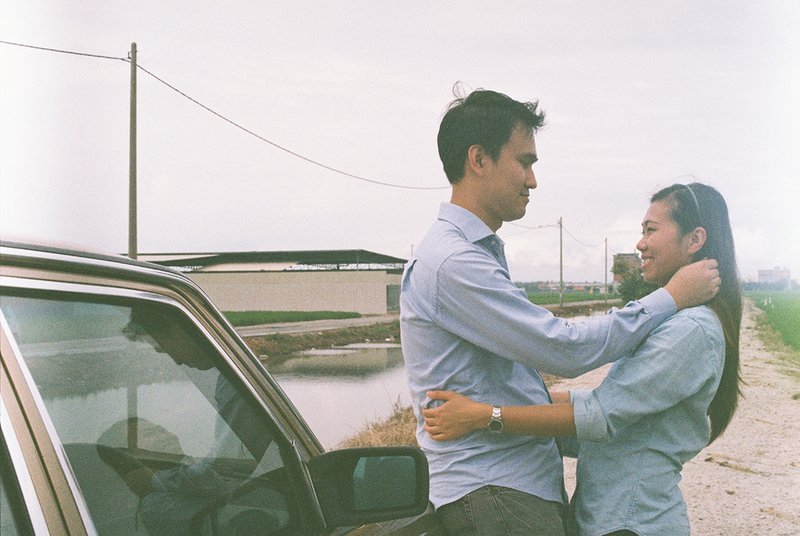 Wasn’t sure what’s going on with the ProPlus film, it turn out pretty dull and grainy, but then I hope the couple will love these pictures I took for them. Dear Nicholas and Ida, congratulations and best wishes for a happy life together! 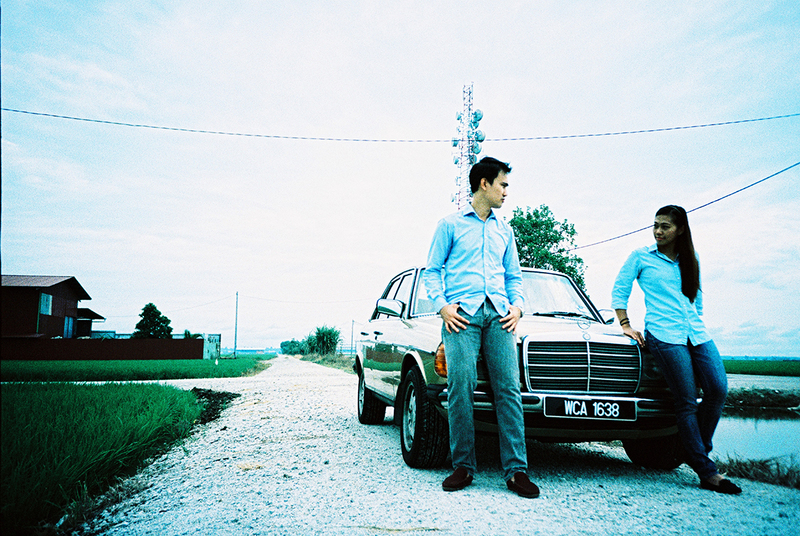 This entry was posted in Couple Portraits (Film) and tagged analogue, canonf1, casual, couple portraits, film, lc-a, Malaysia, paddy, sekinchan. Bookmark the permalink. Dear Hidayah, I bought it when I saw someone selling it online. I wasn’t sure where you can get in KL but maybe you can try Color Dot Com in Uptown or Bang Bang Geng in Publika? 🙂 Hope this helps!